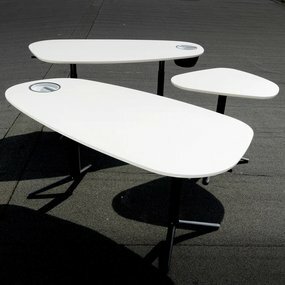 Bulo is the number one Belgian manufacturer of high end office furniture. Founded in 1963 by Walter Busschop, it is still a family owned business with a unique approach of the market. 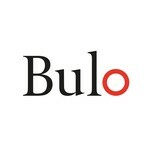 In the 1990ies, Bulo was one of the first office furniture brands that understood that a cross over between office furniture and home furniture was the way forward. 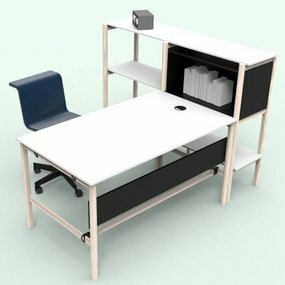 Bulo started unique partnerships with renowned (interior) architects and designers to create exclusive furniture that could fit both an office and a residence. Jean Nouvel, Maarten van Severen, Claire Bataille and Paul ibens, Vincent Van Duysen and Ann Demeulemeester are just a few names of designers who jumped on board and contributed to Bulo's catalogue of original designs. A couple of years ago, Bulo started a new chapter by re-editing iconic furniture from the 1950ies, starting with the incredible oeuvre from Jules Wabbes. Recently, Bulo added the SL58 chair by Léon Stynen, actually the only piece of furniture the acclaimed architect ever designed. Bulo produces locally, in a small factory in Belgium, still using many traditional techniques of woodworking and joinery. To have a better control over the origin of the wood, they have integrated their wood supplier into the company, making the supply chain leaner and more transparent.